My research on gender, work and care attends to theoretical, methodological, epistemological and conceptual issues in changing practices and institutions of motherhood and fatherhood with attention to issues of class, sexualities, ethnicities and re-thinking concepts of bodies, care, equality, time, responsibilities, breadwinning, and the meanings of stay-at-home fathering. All of my work has a sustained focus on exploring epistemic practices, effects, and potential policy interventions, and social change. 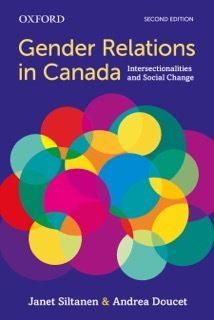 My work on gender relations more widely is co-authored with my Carleton University colleague, Professor Janet Siltanen. We recently published a second edition of Gender Relations: Intersectionality and Beyond (Oxford University press, 2017). Our second edition is entitled Gender Relations in Canada: Intersectionalities and Social Change. Image “Holding Aligned Choices”, image courtesy of Christine Martell. For a sampling of some of my publications, please click here or visit my academia site. Doucet, A. (May 2018) Do Men Mother? (Second edition; revised and updated). University of Toronto Press. Doucet, A. (in progress, forthcoming 2019). Can Care be Equal? Genealogies and Choreographies of Breadwinning and Caregiving. Under contract with University of Toronto Press. Siltanen J. and Doucet, A. (2017) Gender Relations in Canada: Intersectionalities and Social Change. Toronto: Oxford University Press. Siltanen J. and Doucet, A. (2008) Gender Relations: Intersectionality and Beyond. Toronto: Oxford University Press. Doucet, A. (2006) Do Men Mother? Fathering, Care and Domestic Responsibilities Toronto: University of Toronto Press. (Awarded the John Porter Tradition of Excellence Book Award, from the Canadian Sociology Association). Doucet (2016) “The choice was made for us”: Stay-At-Home Dads (SAHDs) and Relationalities of Work and Care in Canada and the United States. In I. Crespi and E. Ruspini (Eds) Balancing Work and Family in a Changing Society: The Fathers’ Perspective. London: Macmillan. Doucet, A. (2016). The ethics of care as practice, relational ontology, and social justice: The radical potential of fathers “home alone on leave”. In M. O’Brien and K. Wall (Eds. ), Fathers on Leave Alone: Work-life Balance and Gender Equality in Comparative Perspective. Springer. Doucet, A. (2015). Parental responsibilities: Dilemmas of measurement and gender equality. Journal of Marriage and Family, 77(2), 224-242. Doucet, A. & Lee, R. (2014). Fathering, Feminism(s), Gender, and Sexualities: Possibilities, Tensions, and New Pathways, Journal of Family Theory and Review, 6 (4): 355-373. Doucet, A. (2013) A “Choreography of Becoming”: Fathering, Embodied Care, and New Materialisms, Canadian Review of Sociology, 50th Anniversary Issue, 50 (3), 284-305. Doucet, A (2013) “Paid and Unpaid Work: Linking Households, Workplaces, the State, and Communities” (revised) in Patrizia Albaneze (Ed.) New Canadian Families (Third edition) Oxford: Oxford University Press; pp. 166-184. Doucet, A. (2013) “Can Parenting Be Equal? : Rethinking Equality and Gender Differences in Parenting,” in Linda C. McClain and Daniel Cere, What is Parenthood? : Contemporary Debates about the Family. New York: New York University Press; p. 257-275. Doucet, A (2013) “’blurred lines and flecks of grey’: Breadwinning mothers, caregiving fathers and the dilemma of ‘equality’ in care. 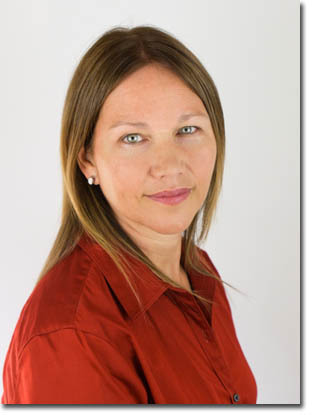 In Andrea O’Reilly (ed) What do Mothers Need? Toronto: Demeter Press; pp. 275-294. McKay, L. Marshall, K and Doucet, A. (2013) “Fathers and Parental Leave in Canada: Policies, Practices and Potential” in Jessica Ball and Kerry Daly (eds). Engaging Fathers in Social Change: Lessons from Canada, Vancouver: UBC Press; pp. 207-223. Doucet, A and Hawkins, L (2013) “Feminist Mothers Researching Fathering: Advocates, Contributors, and Dissenters” in Jessica Ball and Kerry Daly (eds). Engaging Fathers in Social Change: Lessons from Canada, Vancouver: UBC Press; pp. 89-106. Doucet, A. and Mauthner, N.S. (2012) “Tea or Tupperware? Mommy Blogging as Care, Work and Consumption” in Georgia Phillips and Susie Weller (Eds) Critical Approaches to Care: Understanding Caring Relations, Identities and Cultures. London: Routledge; pp. 92-104. Doucet, A. (2012) “Fathering and Gender Relations in” Catherine Tamis-LeMonda and Natasha Cabrera (Eds.). (2nd edition). Handbook of Father Involvement: Multidisciplinary Perspectives. New York: Routledge; pp. 297-319. Siltanen, J. and Doucet, A. (2011) “Gender Relations” in Lorne Tepperman and Patrizia Albaneze (eds). Principles of Sociology, Third Edition. Peterborough: Oxford University Press. Doucet, A. (2011)“’It’s not good for a man to be interested in other people’s children’: Fathers and public displays of care” in Esther Dermott and Julie Seymour (Eds). Displaying Family: New Theoretical Directions in Family and Intimate Life. London: Palgrave MacMillan. McKay, L. and Doucet, A. (2010) ‘Without Taking Away Her Leave’: A Canadian Case Study of Couples’ Decisions on Fathers’ Use of Paid Leave”, Fathering (special issue edited by Margaret O’Brien and Linda Haas on Men, Work and Parenting). 8. 3: 300-320. Doucet, A. (2010) “What impedes fathers’ Participation in Care Work: Theorizing the Community as an Institutional Arena. In Catherine Krull and Justyna Sempruch (Eds). Demystifying the Family/Work Contradiction: Challenges and Possibilities. Vancouver: UBC Press. Doucet, A. (2010) “Taking Off the Maternal Lens: Engaging with Sara Ruddick on Men and Mothering” in Andrea O’Reilly (Ed.) Mothering: Agency Experience and Institution. Irvington, NY: Columbia University Press. Doucet, A (2010) “Paid and Unpaid Work: Linking Households, Workplaces, the State, and Communities” in David Cheal (Ed.) New Canadian Families (second edition) Oxford: Oxford University Press. Doucet, A (2010) “Fathers and Fathering” in A. O’Reilly and J. Golson (Eds.) Encyclopedia of Motherhood. Sage Publications. Doucet, A. (2010) “Fathers and Emotional Responsibility” in Andrew J. Cherlin (Ed). Public and Private Families: A Reader. Berkshire, UK: McGraw Hill. Doucet, A. (2009) “Dad and Baby in the First Year: Gendered Embodiment”, The Annals of the American Academy of Political and Social Sciences. 624, 1: 78-98. Doucet, A. (2009) “Gender Equality and Gender Differences: Parenting, Habitus and Embodiment”, Canadian Review of Sociology, 48 (2), 99-117. Doucet, A. McKay, L. and Tremblay, D-G. (2009) “Parental Leave Policy in Canada” in Peter Moss and Sheila Kammerman (Eds.) The Politics of Parental Leave Policies: Children, Parenting, Gender and the Labour Market. Bristol, UK: Policy Press; pp. 31-48. Doucet, A. and Merla L. (2007) “Stay-at Home-Fathering: A Strategy for Balancing Work and Home in Canadian and Belgian Families”. Community, Work and Family. 10(4): 453-471. Doucet, A. (2007) “Fathering/Fatherhood” in M. Flood, J. Kegan Gardiner, B. Pease and K. Pringle (Eds.) Routledge International Encyclopedia of Men & Masculinities. London: Routledge; pp. 192-197. Doucet, A. (2007) “Families and Work” in D. Cheal (Ed.) New Canadian Families. Toronto: Oxford University Press; 136-153. Doucet, A. (2006) “‘Estrogen-filled worlds’: Fathers as primary caregivers and embodiment”. The Sociological Review, 54(4): 695-715. Doucet, A. (2005). “‘It’s almost like I have a job but I don’t get paid”: Fathers at home reconfiguring work, care and masculinity”. Fathering, 2(3): 277-304. Doucet, A. (2004). Fathers and the responsibility for children: A puzzle and a tension. Atlantis: A Women’s Studies Journal, 28(2); pp. 103-114. Doucet, A. (2001) “You see the need perhaps more clearly than I have”: Exploring gendered processes of domestic responsibility, Journal of Family Issues, 22 (3), pp. 328-357, 2001. Doucet, A. (2001) “Can Sons Grow Into Mothers? Maternal Thinking and Fathers’ Reflections”, in Andrea O’Reilly (ed. ), Mothers and Sons: Feminist Perspectives. London : Routledge. Doucet, A. and Dunne, G. A. (2000) “Heterosexual and Lesbian Mothers Challenging ‘Feminine’ and ‘Male’ Conceptions of Mothering” in Andrea O’Reilly and Sharon Abbey (eds. 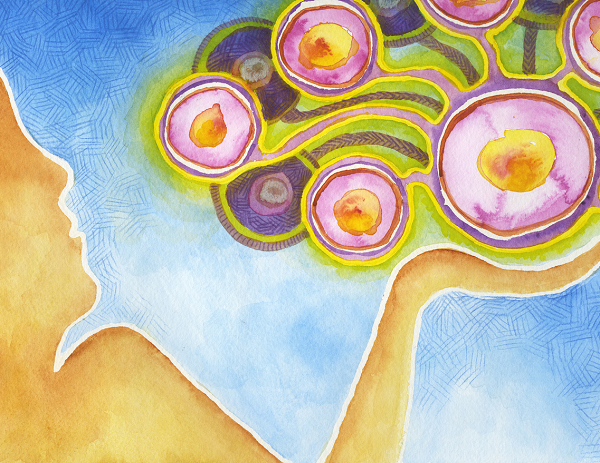 ), Mothers and Daughters: Connection, Empowerment and Transformation. Rowman and Littlefield; pp. 103-120. Mauthner , N.S. and Doucet, A. (1998) “Reflections on a Voice-Centred Relational Method of Data Analysis: Analysing Maternal and Domestic Voices” in Jane Ribbens and Rosalind Edwards (eds. ), Feminist Dilemmas in Qualitative Research: Private Lives and Public Texts. London : Sage; pp. 119-144 (equally co-authored). Doucet, A. (1996) “Encouraging Voices: Towards More Creative Methods for Collecting Data on Gender and Household Labour”, in Lydia Morris and Stina Lyon (eds.) Gender Relations in the Public and the Private. London: Macmillan; pp. 156-173. Doucet, A. (1995). Gender equality and gender differences in household work and parenting. Women’s Studies International Forum, 18(3): 271-284.